Come and enjoy 3 days showshoeing based at Ax les Thermes including walking through magical beech wood, scaling a summit and encountering mountain "orris" an ancient shelter, cathar culture and frozen mountain lakes and waterfalls. We start on a high mountain plateau where dog sledging is also available! You will stay in hotel or apartment accommodation in this beautiful spa town and can have the free time to visit les Bains de Couloubret after the days snowshoeing. If you are a mixed group and some prefer skiing we can also provide a days nordic skiing to replace one of the snow shoe days at Plateau de Beille or Chioula. Including: 4 nights accommodation including meals as stated and local transport plus airport pick up by arrangement for groups of 4 or more. 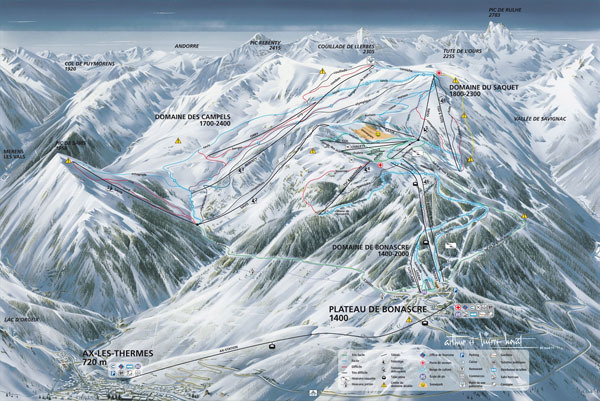 20km and 15-20 minutes drive or train ride up the valley from Chez Arran is the ski town of Ax les Thermes, with fast gondola access to over 75km of pistes from 1,400m to 2,400m. The season is usually December to March. There’s something for everyone, from gentle open slopes to off-piste tree-runs, and the extensive network of snow cannon will ensure there’s always plenty of snow. A one-day lift pass costs only 32.50€. A skiRail train is possible from Foix to Ax les Thermes and works out cheaper overall. There is a 90€ four day deal outside French holidays and weekends. The days do not need to be taken consecutively. You buy tickets from the machine outside the train station or from Tourist information. There is often a hoppa bus to take you from the Station to the lift station where you exchange your ticket for a pass - or sometimes in the train station. At those prices the cool après-ski beer tastes so much better! There is child care on offer for children from 3 months 6 yers old every day. Hours: 1/2 day 9h à 12h45 or 13h à 16h45 Full day 9h à 16h45. Creche runs all winter and reservation is obligatory. We recommend Ascou http://benlear.eu/videos/ascou-ski-resort/ or Les Puymorens for families, and Andorra resorts if you like to combine skiing and shopping. Ski hire shops are easy to find in Ax and on the way. Lessons are available at most resorts and best booked in advance. Andorra works well as a hgher resprt option and is 45-50 minutes away. 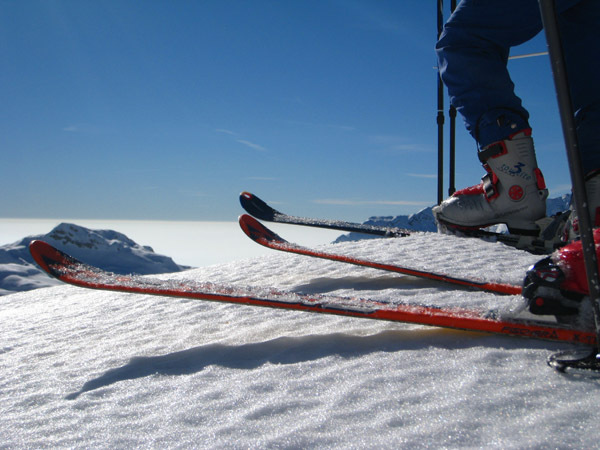 There are a few places between Tarascon sur Ariege and Ax where you can hire ski equipment. Main options include: Ax les Thermes Sport 2000 http://ski-hire-sport2000.co.uk immediately to the right of the main ski lift in Ax. Telemark Pyrenees http://www.telemark-pyrenees.com/en/ is closer to the entrance of the town. 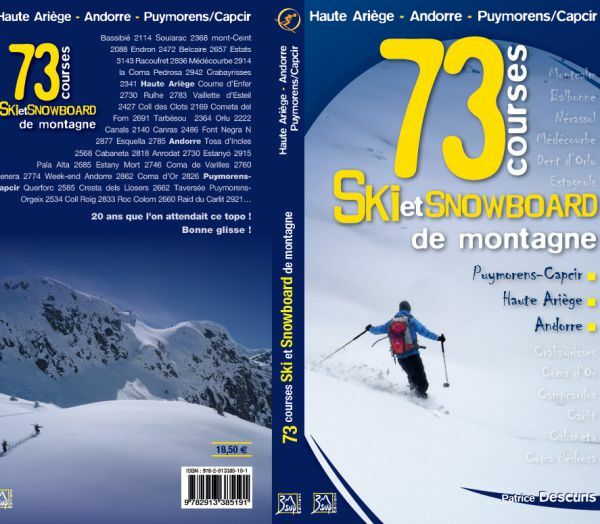 The Plateau de Beille http://www.beille.fr is the Pyrenees’ premier cross country ski venue. At over 1,800m, just 20 minutes drive from home, no less than 70km of beautifully maintained circuits will delight and challenge Nordic skiers of all abilities. You’ll also find many marked snowshoe trails. It’s a great panorama from the top of Beille and you can also try dog sledging with some fabulous huskies and Pyrenean mountain dogs. This needs booking in advance. There is a ski bus departing from Les Cabannes up to Beille regularly at the weekends. 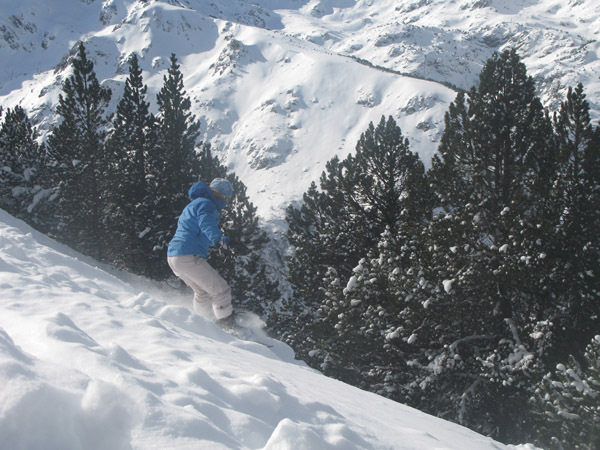 Chioula is also well worth a visit and skis are available at Telemark Pyrenees. 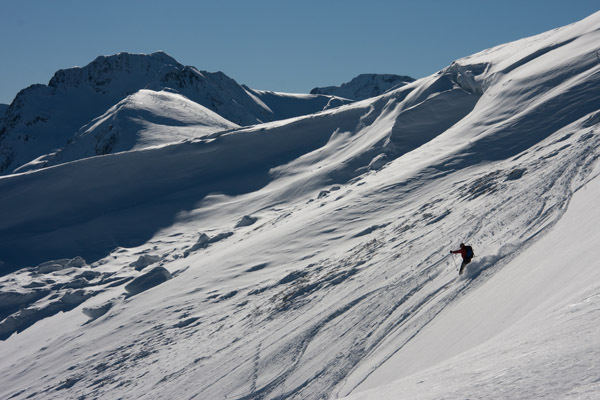 The Pyrenees is a fantastic place for ski-touring. There are routes to suit all levels of experience and fitness.